I always bake for less time though, so be sure to check then at 10-12 minutes to see how things are going. 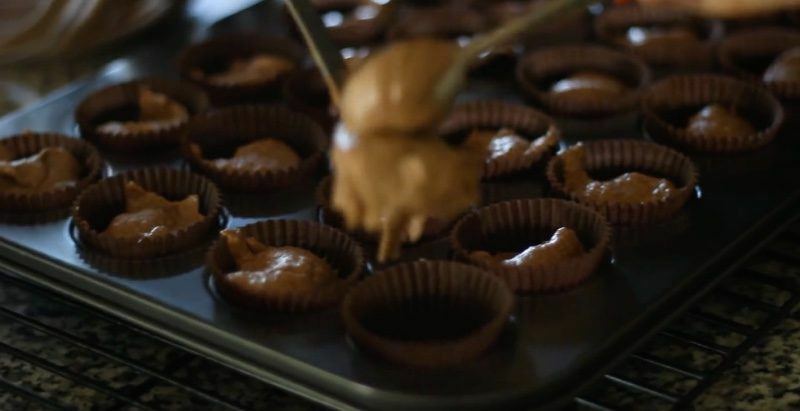 While they're baking, you can begin to prepare the frosting! Chop the mint and stir in the milk then let it sit to absorb the minty flavors. 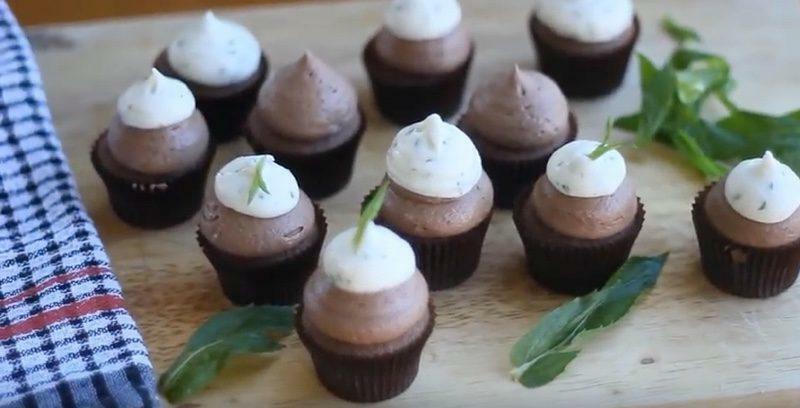 This recipe is unique in that is uses fresh mint leaves instead of mint extract, like many recipes use, including the recipe for chocolate mint cupcakes with buttercream frosting. 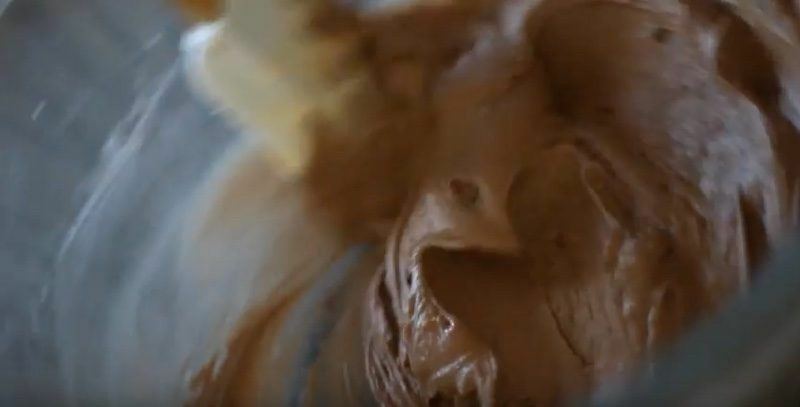 While that mixture is sitting, you can prepare the chocolate frosting. The ingredients for buttercream frosting are pretty simple: butter, sugar, cocoa powder, milk. Easy! 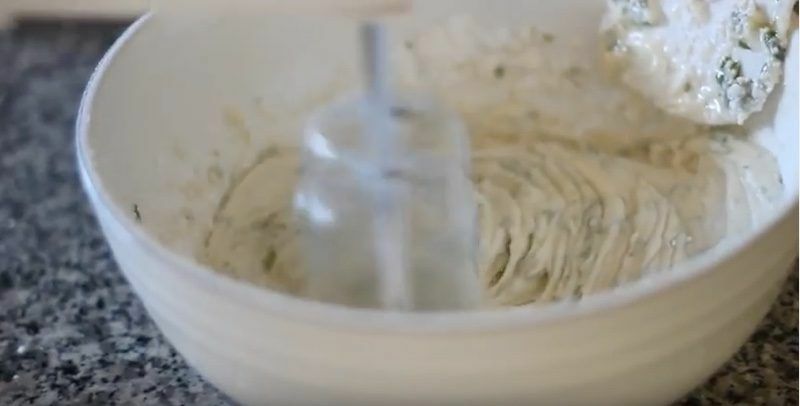 The mint frosting is prepared in a similar way to all other types of buttercream. The only difference is that you pour milk that soaked with mint over the sugar mixture. This is going to give you a minty green topping for your dessert. Put each frosting into a piping bag. 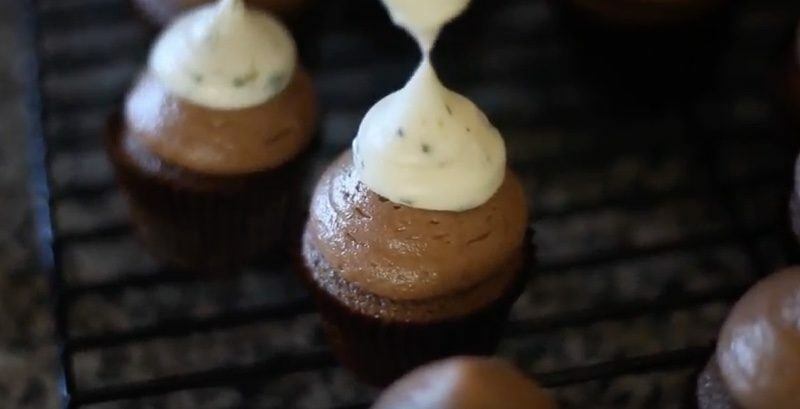 Squirt each (cooled) cupcake with chococlate, then mint frosting. 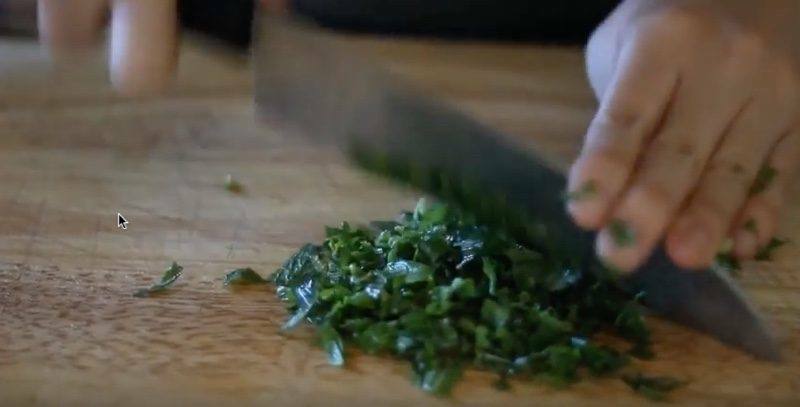 You can also garnish your dish with a few choppings of fresh mint leaves for a beautiful, decorative finish. 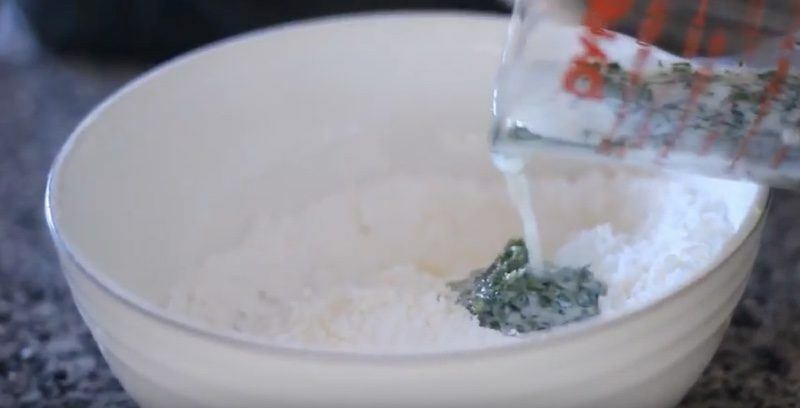 From what I could find, it looks like PigglyWolf doesn't have a website, so you can see the entire recipe including ingredient measurements and the full instructions in the description on the original YouTube video. You can watch their original video for mint chocolate mini cupcakes below!